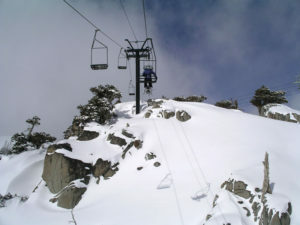 Squaw Alpine is the crown of Lake Tahoe, located on the western shore of the Lake. Squaw is legendary, home of the world’s first double chair in 1949 and host of the 1960 Winter Olympics. Today Squaw is known for its awesome terrain, views of Lake Tahoe, and interesting lifts like a cable car and a funitel, and the European-style ski village. Now that Squaw also owns and operates neighboring Alpine Meadows – its the biggest in Lake Tahoe. Squaw has something for everyone; the Funitel and Cable Car emanate from the Village to mid-mountain where the tamest terrain is located – ideal for learning families. Experts will have a field day dropping into Squaw’s chutes, cornices and cliffs (featured in all the best ski films) from summit lifts Headwall, Granite Chief, and the famous KT-22 – named for the twenty-two kick turns it takes to ski the face. Squaw gets serious powder, and hosts a long ski season. 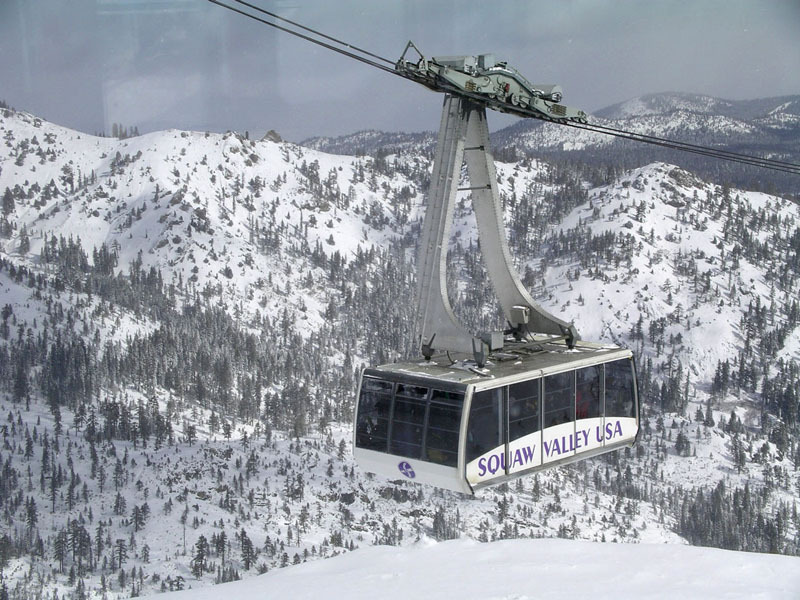 Squaw Valley sprawls over 4,000- acres, and there is even night skiing. On the mountain at 8,200-foot High Camp, skiers find an Olympic ice skating rink, heated pool, hot tub and huge lodge with dining and extraordinary views of Lake Tahoe. The Village at Squaw is equally enticing with boutiques, pubs and restaurants from Irish to sushi. 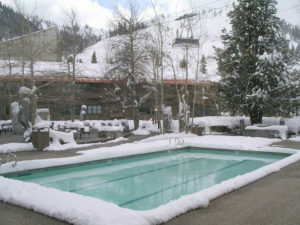 For prime lodging The Resort at Squaw Creek is four diamond and ski in ski out, Olympic Village offers condo lodging, and the PlumpJack Squaw Valley Inn is a charming spot within walking distance to the lifts, and a great après ski fireside bar, plus steamy outdoor hot tubs with views of the slopes of Squaw Valley. Squaw now offers a shuttle and a reciprocal lift ticket with neighboring Alpine Meadows for another 2,400 acres of California skiing and riding. Both resorts, Squaw and Alpine, are undergoing a $70 million renaissance, so expect big improvements at both Tahoe ski resorts.